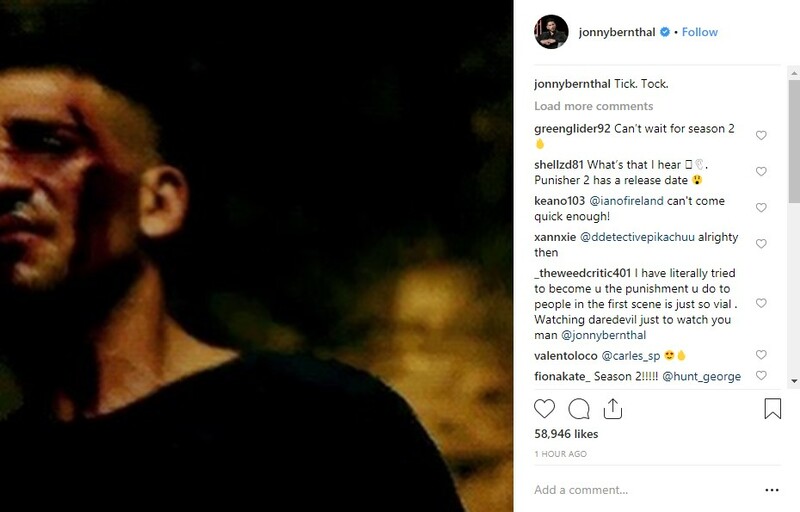 Jon Bernthal again takes to social media to seemingly tease The Punisher Season 2 trailer release for Netflix. Taking to Instagram, Jon Bernthal releases an image of a beat up and bloody Frank Castle with, "Tick. Tock." Netflix has yet to release a teaser trailer or announce when The Punisher Season 2 debuts. We can guess the premiere date announcement will come with the release of the new trailer. In Marvel’s The Punisher, former marine turned vigilante, Frank Castle (Jon Bernthal) aims to clean up New York City by any means necessary, no matter how lethal the results. Marvel’s The Punisher Season 2 is Executive Produced by Steve Lightfoot, along with Jeph Loeb (“Marvel’s Daredevil,” “Marvel’s Jessica Jones”), and Jim Chory (“Marvel’s Luke Cage,” “Marvel’s Iron Fist”).